Packers Plus is the innovator of open hole, multi-stage completion systems and provides solutions for technically challenging applications in horizontal, vertical, multi-lateral and high pressure / high temperature (HPHT) wells. 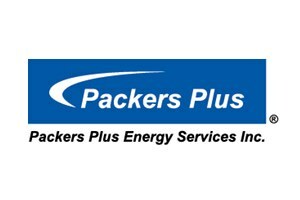 By remaining focused on high-value completion technologies, Packers Plus strives to be the leading supplier of technical solutions in its chosen field and maintains an extensive Intellectual Property and Patent portfolio. Innovation remains critical to the company’s success and dictates how business is conducted every day. Packers Plus has also developed a variety of additional completion technologies for specific applications in order to adapt to changing industry demand. These enabling technologies have allowed operators to redesign operations and procedures to increase well productivity and reduce well costs. Integrated technology groups ensure continual product improvements placing Packers Plus at the forefront of oil and gas completions technology development. The company maintains full design and manufacturing capabilities, as well as a large Rapid Tool Development program directed at tool and system technologies to address customers’ needs. Packers Plus has operations in Canada, the U.S. and around the world and strives to maintain an influential role in key markets. Packers Plus has stayed true to its roots — an innovative company with a focused niche, enabling it to be the best at what it does. For further inquiries or to speak to a Technical Sales Representative please visit the Contacts page.